The 2016 Dodge Charger from El Paso is a modern performance sedan that’s bursting with attitude. This is no doubt a pulse-quickening ride steeped in the Dodge heritage, the perfect choice for drivers looking for a rambunctious car. There is no lack of options: more than half a dozen trim choices are available, four mighty engines, and a lengthy list of optional features. Quality is evident in its cabin that’s expertly styled with upscale yet functional materials. Indeed, it’s a competitive market for four-door sedans, but the 2016 Dodge Charger has an intense, bold appeal that few models can match. 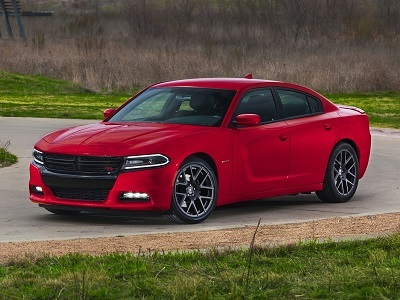 The 2016 Dodge Charger from El Paso seamlessly blends sleek, contemporary lines with its classic Coke-bottle shape. You’ll find distinct muscle car elements with modern styling from front to rear. The nose is smoothly rounded, and the rear incorporates “racetrack” taillight arrangement. Posted on March 18, 2016 by CedrickPosted in BusinessTagged 2016, charger, dealers, dodge, paso.